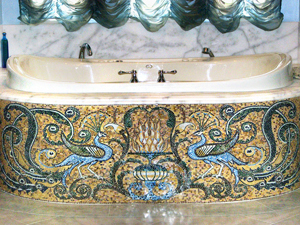 Choose to decorate your bathtub or spa with mosaic tiles to make them even more inviting for you to spend quality time! Pick a blue color for the fresh look of a pool, or pastel colors for a soft feel, or even more alive tones and patterns to create the theme you want. 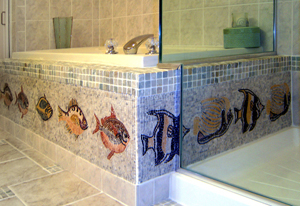 You can always choose to customize your mosaic design and install the mood that makes you happy!